Swoosh! Two-points and a two-piece set for the win! 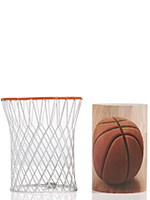 This mesh metal Accent Shade is a realistic replica of a basketball hoop and coordinates perfectly with the Warming Shade featuring a graphic image of a basketball. 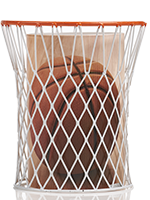 The combo is a slam dunk for hoopsters of all ages. BASE NOT INCLUDED. Liner Measures 3.5” diam. x 5.5” h. Accent Shade 4.15” diam. x 5.75” h.